Accenture proposes that key clinical AI applications can potentially create $150 billion in annual savings for the United States healthcare economy by 2026. At hyper-speed, AI is re-wiring our modern conception of healthcare delivery. AI in health represents a collection of multiple technologies enabling machines to sense, comprehend, act and learn, so they can perform administrative and clinical healthcare functions. 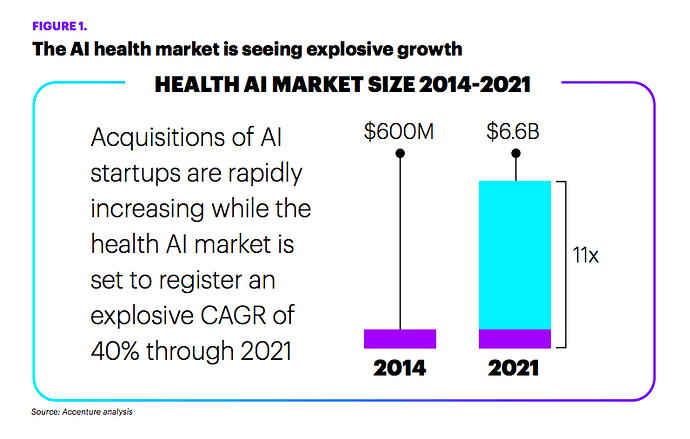 Unlike legacy technologies that are only algorithms/tools that complement a human, health AI today can truly augment human activity—taking over tasks that range from medical imaging to risk analysis to diagnosing health conditions. 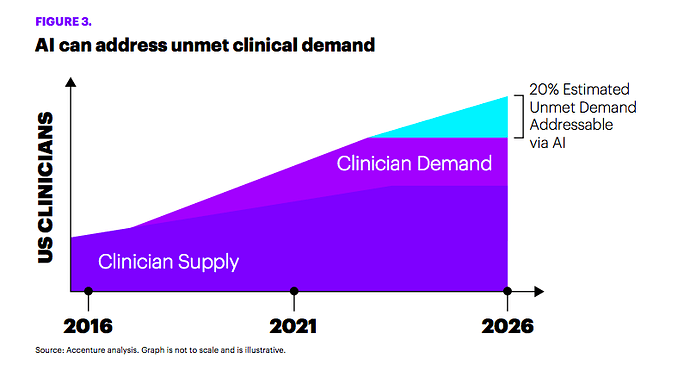 - Accenture, Artificial Intelligence: Healthcare’s New Nervous System. Very exciting. 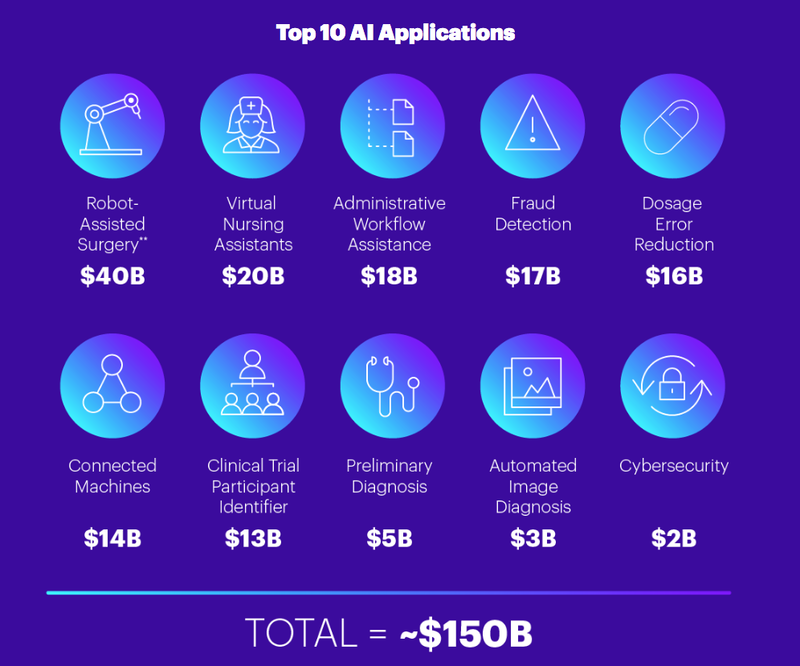 It is quite easy to visualize AI surpassing human ability in the health care field. My first impression of the list, is that Diagnosis looks to be underfunded and underrated. Other technologies coming to maturation give me confidence that human diagnosis abilities will be surpassed far sooner than some may think. It is also difficult to imagine the politic of privacy verses data sharing continuing to be a blockage, particularly when given the choice nearly every human being would opt for sharing data if it helps others. It’s a no brainer. This will require some form of centralization of data? Hey Justjoe, can you elaborate why do you think that will be needed? Data for quality assurance/control and monitoring by population or demographic… For instance.